Maginhawa St. in Philcoa, Quezon City is known as one of the many “restaurant places” in the Metro to go to. It has many restaurants to choose from with so many different types of food offers. 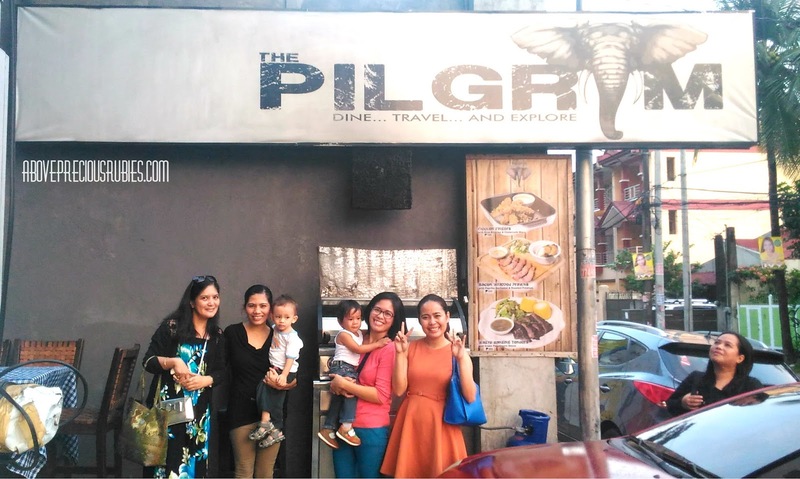 Last week, we had the chance to visit one of the youngest restaurants in Maginhawa – the Pilgrim. It’ll turn one year old this year. Even if it’s young, it doesn’t mean it doesn’t offer good food. 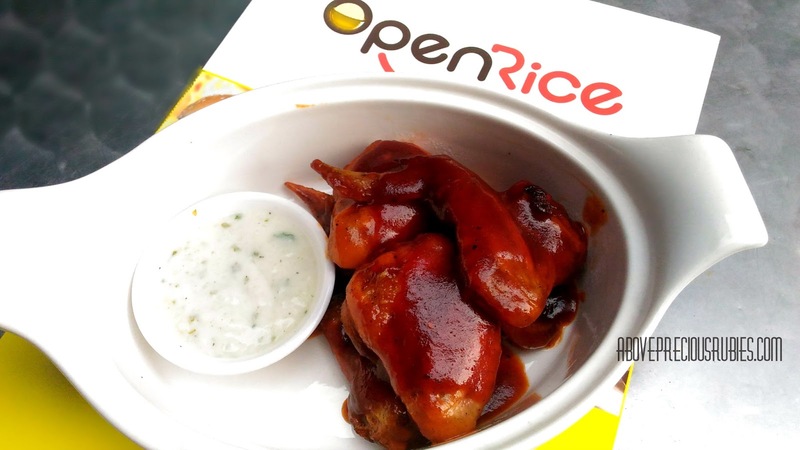 Read more to know about this humble restaurant that gives great food offers. I came with Melisa, my sister Beverly and the kiddos when we visited this place. Since we have no car, we rode a tricycle from Philcoa going to The Pilgrim and just told the driver where we’re going. Thankfully, we arrived there after about 5-7 minutes. As long as you ride a tricycle and you have the address, it sure is an easy place to find, and the only twist is that it’s behind the main building (which I will tell you why later), so you’d have to ask someone and they can lead you to the right place. 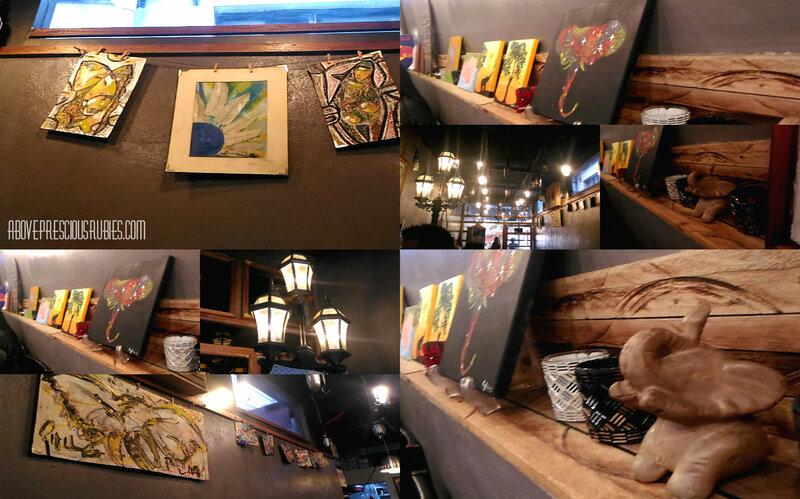 The reason it’s behind the building was because they rented the building’s storage room and used their creativity to make it a good place! They’ve even recycled some old things in the room to decorate the place! When we arrived, we were welcomed by a tiny entrance door going inside a dim-lit & quiet restaurant. The place isn’t that huge, it can accommodate roughly around 30 customers. If you go here and you’re lucky they don’t have any other customers, you will think that you own the place, or that you rented the entire restaurant! It’s a good place to stay ‘coz it’s simple with a flat screen TV in the background if you are into watching TVs but it’s not played loud which means it cannot disturb you if you’d rather do something else as well. The Pilgrim will give you a feel of getting into other places. 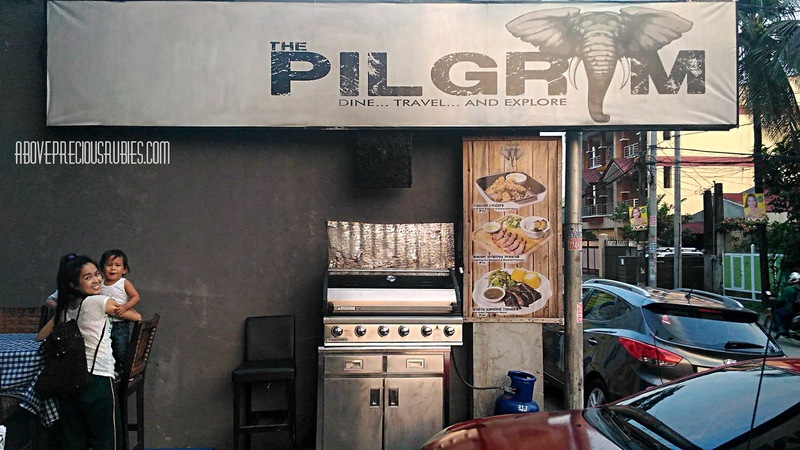 The restaurant chef/owner Chef Dennis Tan is fond of travelling & staying to other places which gives a fitting name as The Pilgrim. 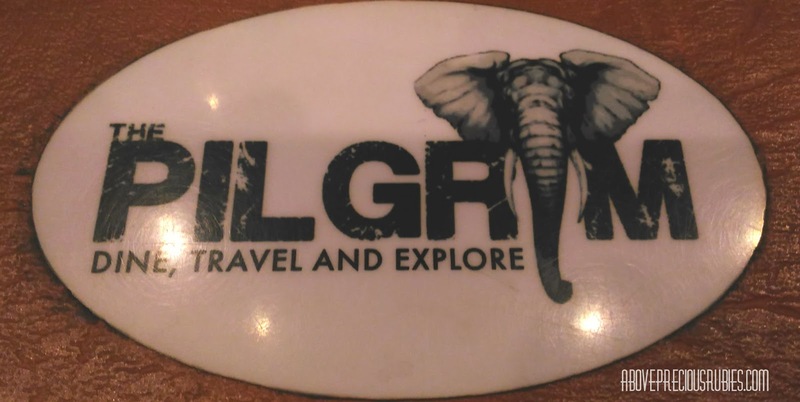 The elephant, which is the theme of this restaurant can clearly be seen everywhere. It is a symbol they use for hard work since the elephant is known to be one of the hardest working animals. 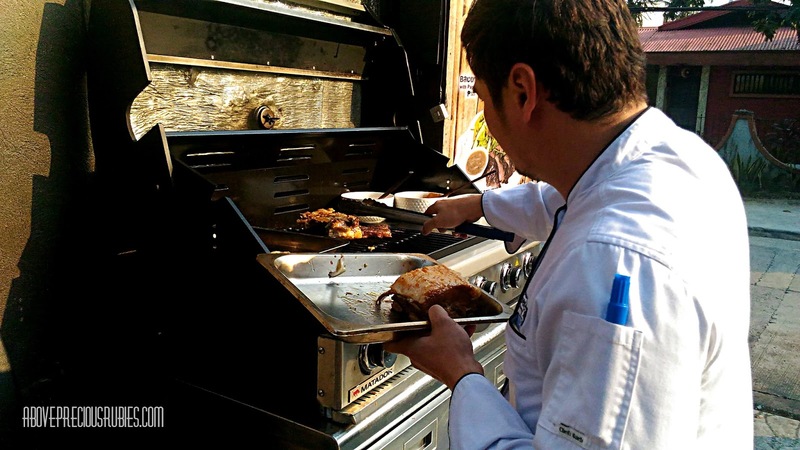 Chef Dennies tries to reincorporate something out of the places he’s been to on the food they serve. It’s like a mixture of all the places they’ve been to which will give you a bit of a Korean, Japan, Australian & Western taste in your plate, depending on the menu you order. This year, he plans to visit more in the Philippines to know more about the culture since he’s not a Filipino (but! let me just stress, he’s good at speaking English!). What’s good about The Pilgrim is that they try to use their own products, they grow their own ingredients. They try to avoid groceries and use home grown instead. So you can rest assure that you’re enjoying a fresh and safe food. 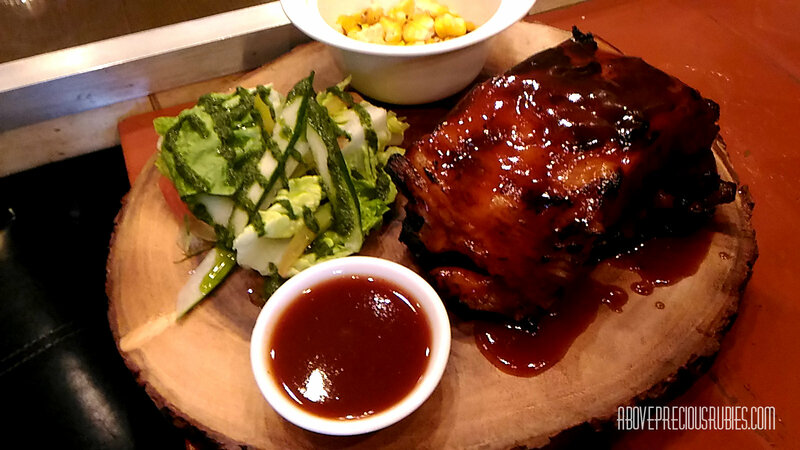 Baby back ribs by Mr. T (with home made BBQ sauce) – known as the best seller, this is one of my favorite among all the food they served. 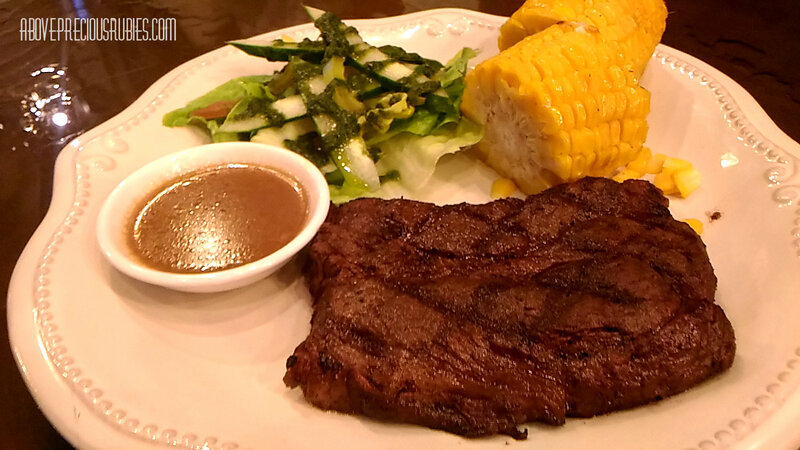 The meat is so tender, the sauce is just right – not too sweet or too salty, the side dish is perfect. 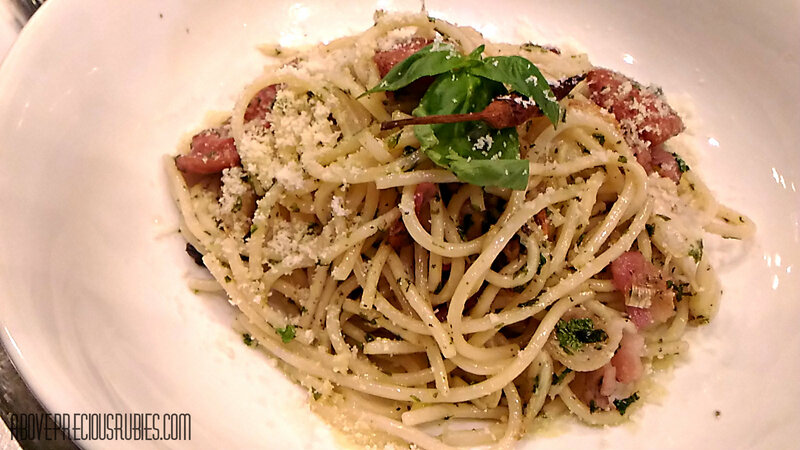 Sausage and Bacon in Aglio E Olio Sauce – I love pasta so much, this one tastes good, it’s out of the ordinary, I am used to creamy pastas, this one is dry, I like how it tastes. I think I’ll enjoy it even more with more cream on it, haha. 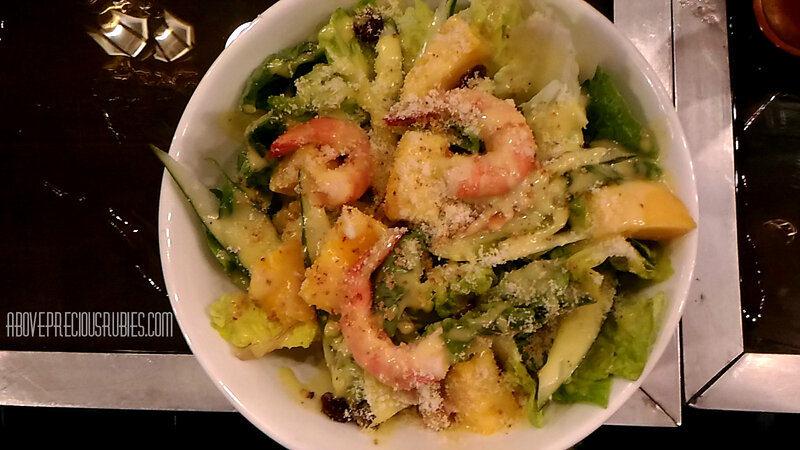 Shrimp Mango Salad – I love all salads! This one tastes fine for me. I just think I want more mayo on it, like dip it in a mayo! haha. The shrimp is tasty, I liked it. 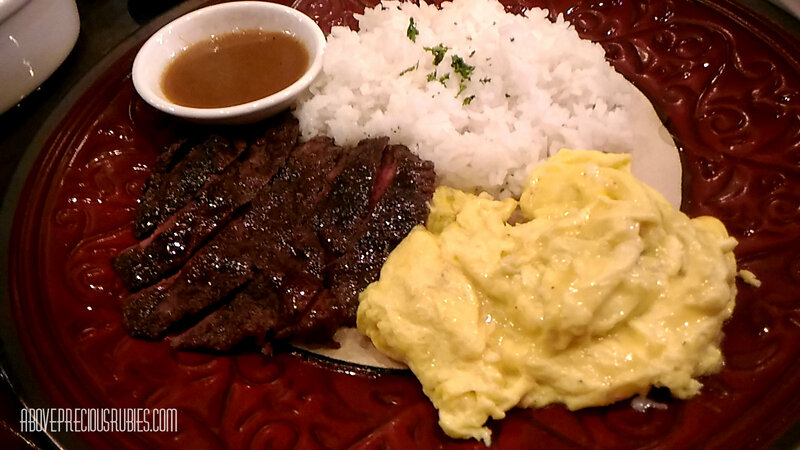 Steak and Egg – Nate went on the safer side and ate the egg instead. I enjoyed the stake an Nate liked the egg so much! By the way, this is only 95 pesos! I know, it’s super affordable! 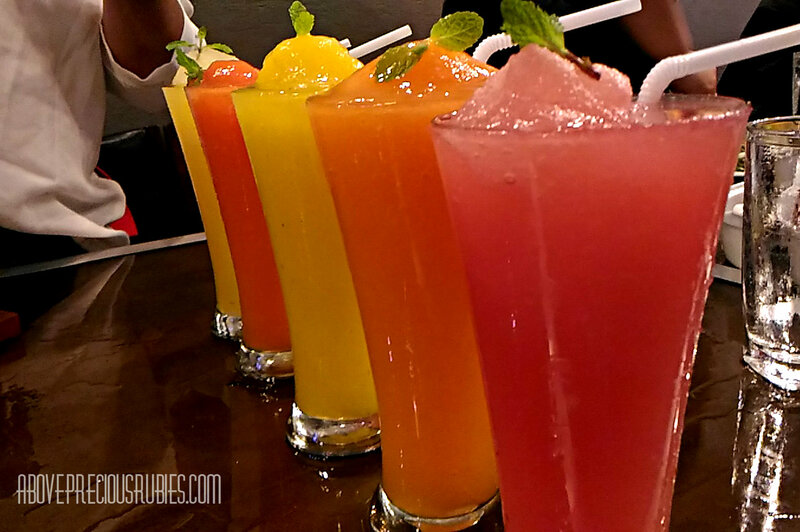 The juices. I don’t have all their names but of them is called The Cure, one Rehabilitate, and one’s Dehydrate. By the names themselves, they are made to detoxify our body. Nate kept asking for this, he loves juices! I call this honorable mention because I didn’t get the name! lol! 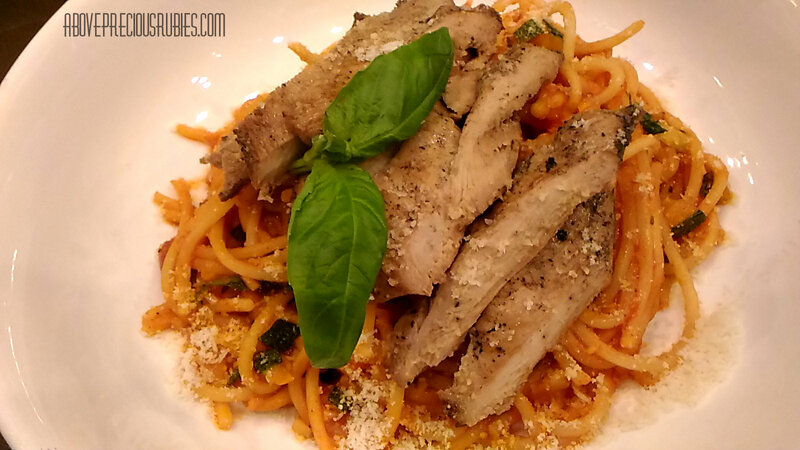 Nate is more into the Filipino-style pasta, so do I but this one tastes good for me too. One pride that the Pilgrim can claim is the tenderness of their meat. This one isn’t an excuse to that. Nate loooved the corn so much, ZD and him took the whole and munched them! The greatest area for improvement I can see in the Pilgrim is their space. 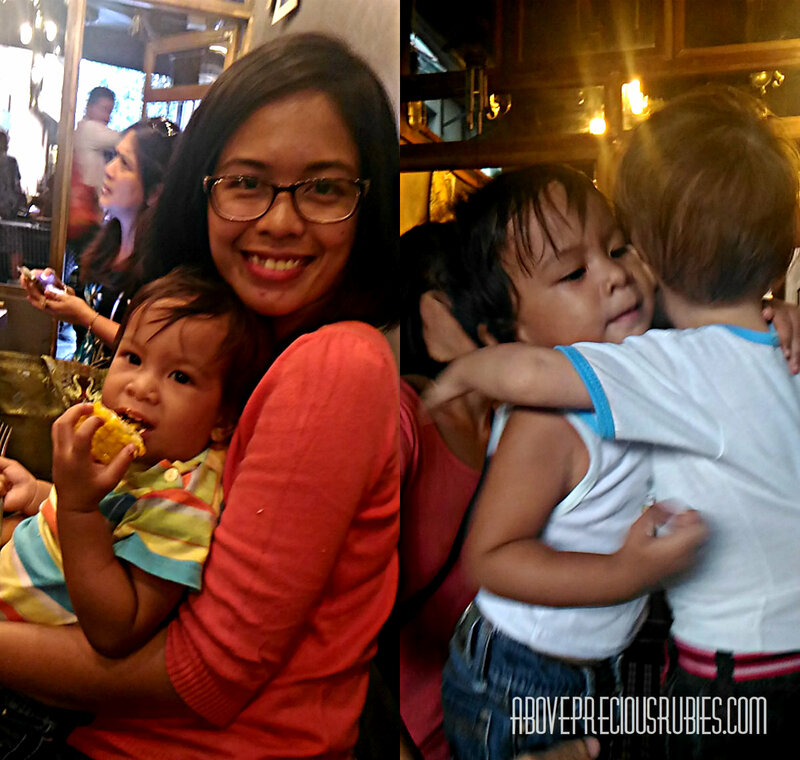 I think with the affordable food they offer, they deserve more than just a 30 – seaters space. Due to their lack of space inside, the place where they cook the steak is right before the entrance door near the car parking, which isn’t a problem for me since I’m used to seeing so many street/bbq food cooked everywhere but others may find that unusual. 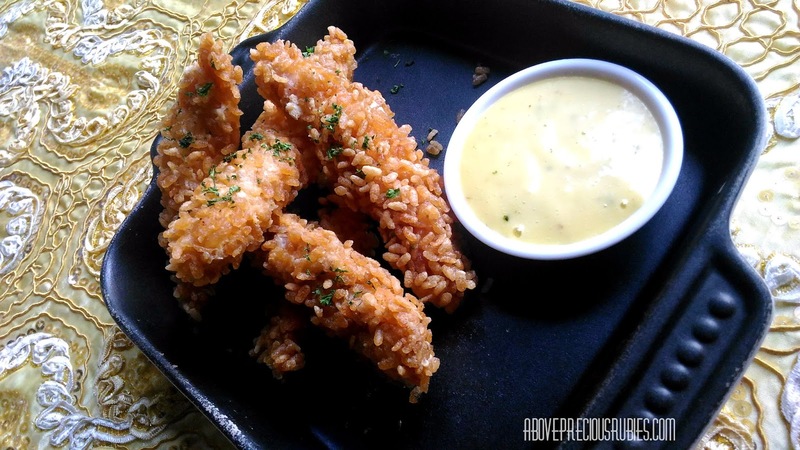 Since they prefer to serve dishes made from home-grown ingredients, bet ko na sya sis. I love home-grown food since I am into gardening. Thanks for sharing! 🙂 They do look delicious as well. Mukhang masarap nga sis. The baby back ribs really look so so delicious. The baby back ribs looks very delicious . Sarap! You're welcome sis! 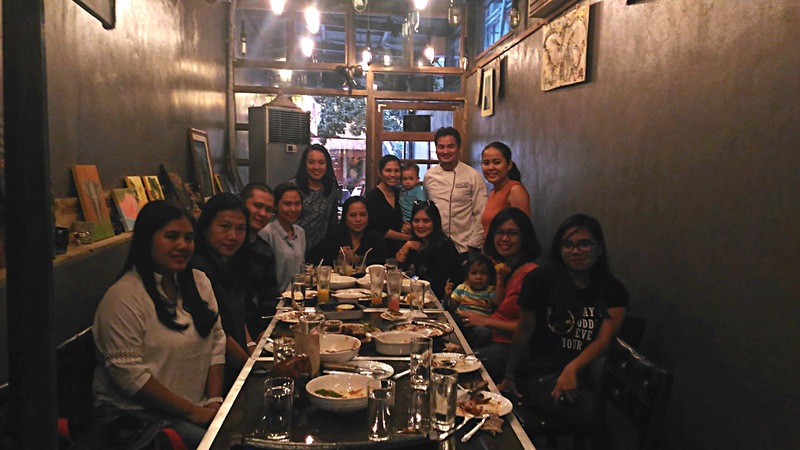 Yes, ang galing nga nila e. I'm sure only very few restos do that. You're welcome! Yes, it sure is!